Packing up all of your worldly belongings and moving your family to a new home is inherently stressful. 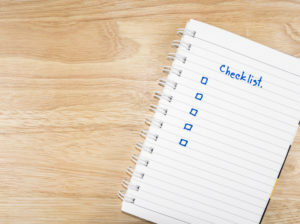 But by following the tips for moving below and using the advice to develop a moving checklist that works best for you, that stress can be held to a minimum. Even if you’re moving into your dream home, the actual process of relocation can seem intimidating. That’s why it’s essential to break this overwhelming project into a series of manageable tasks by developing a moving day checklist. This detailed plan of tips for moving will save time and maximize efficiencies for the whole family. Below are the moving tips to consider when developing your next moving checklist. The most important moving tip we could offer is to begin developing a moving checklist six to eight weeks before your next moving day arrives. 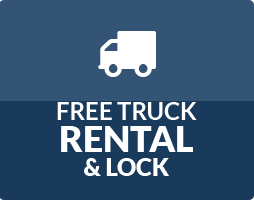 Some of the major decisions for moving day include whether or not to rent a moving truck, hire movers, or ask your friends and family to help. While the answers to each of those questions will be different for everyone, there are certain steps that are universal. Each step should be documented and then broken down into detail on your moving checklist well in advance of moving day. Donate what you don’t need: When you begin going through your closets and packing up items throughout your house, be honest with yourself—are you really going to wear that jacket again? Do you think you’ll ever actually fit into that shirt? If you have clothes in good condition that you no longer wear, donate those items instead of transporting them to your new home. Designate boxes for self-storage: Make sure to designate boxes of items that you might need to place in self-storage. This will free up residential storage space in your new home and help make things more efficient during the unpacking process on moving day. Label all boxes: When you’re packing for moving day, it’s important to label all boxes with their contents and the rooms where they belong. This is one of the simplest moving house tips but also one of the most critical. Labeling boxes will help you avoid breaking fragile items when loading the truck while also maximizing efficiency during the unloading portion of the day. Stage all boxes before unpacking: This is one of the tips for moving that you might be too tired to forget if it is not noted on your moving checklist. After packing, labeling and transporting all of your boxes to your new home, don’t just dump everything in the foyer. Place those boxes in the room they belong before you begin unpacking and organizing. Unpack essentials first: Start unpacking the kitchen and bathrooms first. In the kitchen, have a plan set on where you want to put the items that you use every day. These should be easily within reach. The items that are not used daily can wait to be unpacked. Then, set up the bathroom including hanging shower curtains, unpacking toiletries and putting toilet paper and soap into place. Each of these moving tips should be a primary category on your moving checklist. Include additional details and information below each category and actively use this checklist on moving day to ensure that your transition goes as smooth as possible. 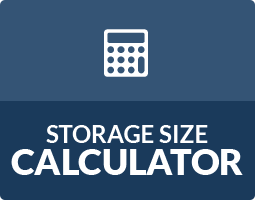 Self-storage facilities offer a variety of storage unit sizes to help with any moving day project. It is also important to have the right moving and packing supplies on hand to box up your personal items for transport. Storage World offers a wide variety of moving and packing supplies and our self-storage professionals are always there to help. 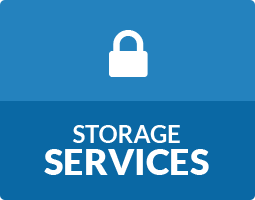 Stop by one of our Atlanta area storage locations today to learn more!